When the CEO and founder of Ripple, Brad Garlinghouse was asked by her mother (who lives in Kansas) that what he does, he was at pains to go in detail what he and Ripple (XRP) sell. He simply answered that he sells software to financial institutions and banks. Simple right, not as put. Most financial services startups fall into one of the two sides: those who want to save themselves from banks and those who want to compete with banks. Ripple (XRP) on it side is a rare exception; it wants to do both. Ripple (XRP), a transaction protocol and platform that is designed for remittance and coinage exchange, was developed with the aim to make online cross-border remittance instant and almost free of charge. Although new in the cryptocurrency sphere, Ripple has more than 100 global financial institutions, online payment service providers, and banks that have adopted their platform into their systems. Being the virtual currency of choice for financial institutions and banks, Ripple is without a doubt one of the most stable virtual currencies in the world today. Since its entry to the stock exchange, XRP has been struggling to hit impressive prices, During the first and second quarter of 2017, Ripple’s value started to soar after hitting an impressive $0.4 per coin, after a short while Ripple prices fell by more than 50%. Afterward, Ripple (XRP) has gone through a hasty price surge to $3. The digital currency trades at $0.53998 currently; it increased in value by 1.79% in last 24 hours. Launched by Ripple Labs, a California-based company in 2012, Ripple has become a model for several other payment systems. With a platform with an open-source solution and a code that is publically available, the Ripple platform consists of decentralized personal computers same as Bitcoin platform. There is no designated server in place to govern and register individual settlements. The platform verifiers with personal computer software connected to the Ripple (XRP) network. What are the dollars in your wallet? It is a government printed paper that has been decided by the Government to be the legal tender for individuals as well as businesses to use to pay for goods and services. This government print is also known as fiat currency; this fiat currency is money that is used but not always backed up by any physical paper these days. 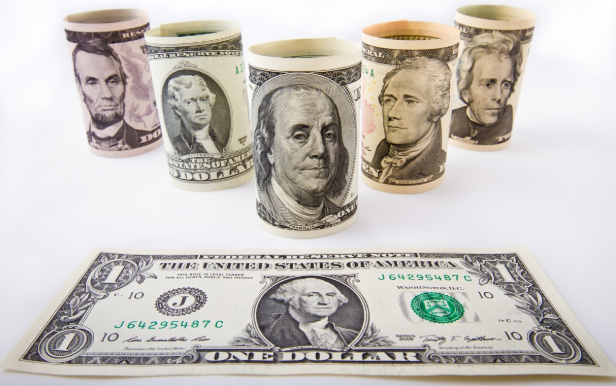 Government-issued cash is not fixed at a price by any principle standard unless the argument is that the US dollar is the principal standard. Today, the dollars in your wallet was worth less than five years ago, and six years ago they were worth far less than what they were worth twelve years ago. Time diminishes the purchasing power of the government print in your wallet. In the last few years, virtual currency or cryptocurrency has been revolutionizing how we exchange value. It is more like how Gmail disrupted the post office breaking the value chain and lifeline of post offices by making stamps to send letters irrelevant and a thing of the past. Cryptocurrencies and more so Ripple (XRP) because it’s the chief digital coin involved in financial matters is a bank-less bank that is undoubtedly disrupting the economic front and the influence of the US dollar. It will take the time. But as the time passes, we can expect Ripple replacing the US dollar to become the preferred medium of exchange by individuals, businesses as well as a financial institution in their everyday transactions and how they transact with each other on a daily basis.